If you have additional questions or concepts you are confused about, feel free to comment on this document (Umich log in required). Christopher Gardner and Patrick Franklin will present complex visualizations they have created for the University of Michigan. Get lunch on your own. Be back by 1:00. Submit Lab II by 2:20pm. We'll take a short break before the next lecture. The ideal data format for Tableau has a column for each variable, with the column titles in the top row (see image to right). However, data rarely is presented to us in such a clean format! Use the tutorials found at https://www.tableau.com/learn/tutorials/on-demand/getting-started-data to learn more about preparing and using complex data in Tableau. 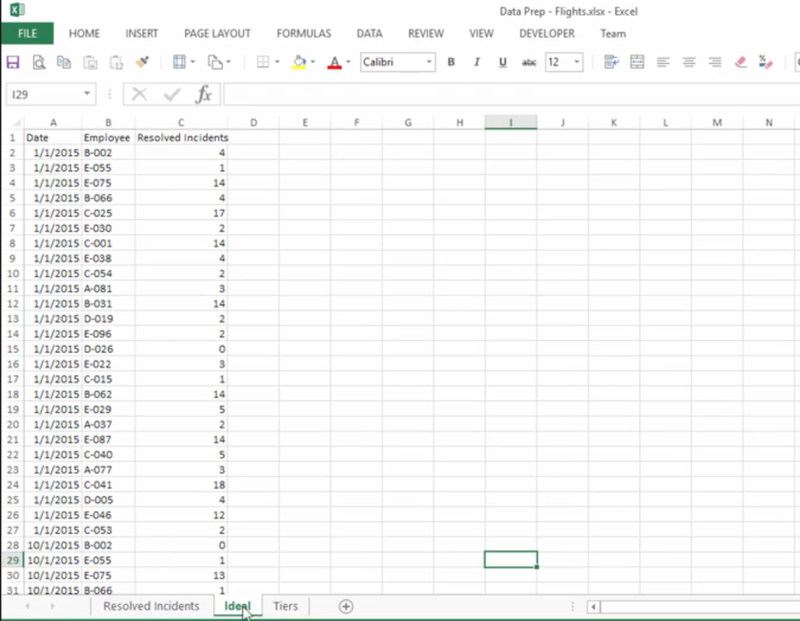 The screenshot to the right shows data appropriately formatted for Tableau, and is from the Tableau tutorial video "Data Prep with Text and Excel Files"
This optional lecture will teach you about data table joins and how they work in Tableau. If you have a background in programming, or already know about table joins, feel free to continue cleaning your data or doing the Open-ended Data Exploration exercise below. This website supports the University of Michigan School of Information 2017 bootcamp Tableau for Data Visualization. ​Content on this site is used for educational purposes only.